While traveling, you might be in a situation where you only have a wired Ethernet connection and a Windows 7 laptop. 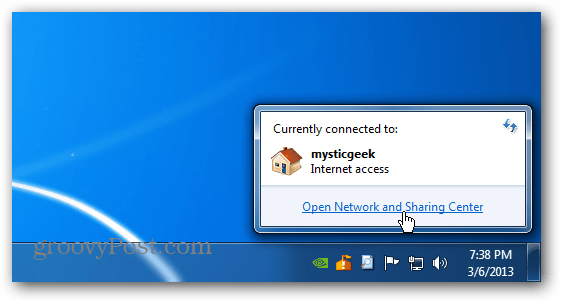 Here’s how to make your laptop a WiFi hotspot and share the Internet connection with other devices. While WiFi is essentially everywhere you look, sometimes while traveling, you’ll be in a situation where you only have a wired Ethernet connection. What happens then if you need to connect your “WiFi only” device to the internet? 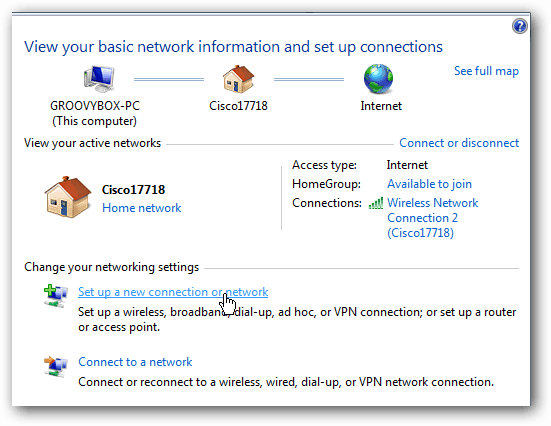 If you have a Windows 7 laptop, you can turn it into a WiFi hotspot and share its wireless connection with your device via an Ad Hoc network. Here’s how to do it without third-party utilities. Note: Windows 8 has quietly removed this feature, but you can still do this with XP – Windows 7. 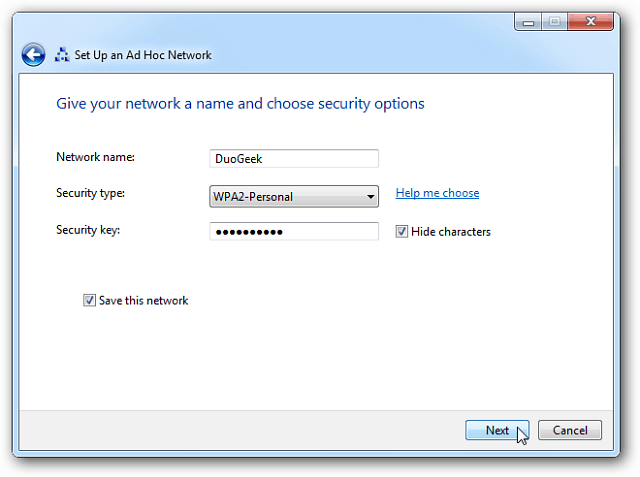 And if you are running Windows 10, make sure to read our article on making Windows 10 a Wi-Fi hotspot. 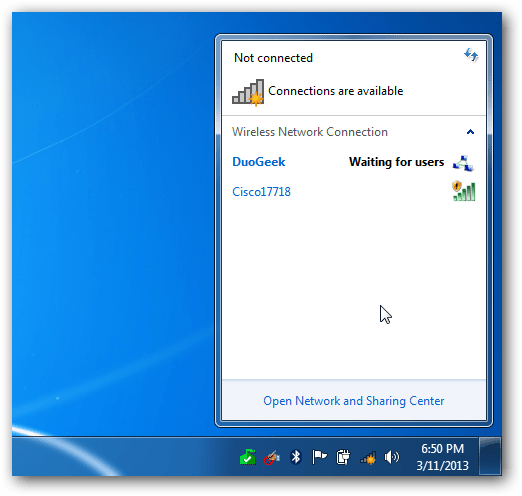 Click the wired network connection icon in the System Tray and select Open Network and Sharing Center. 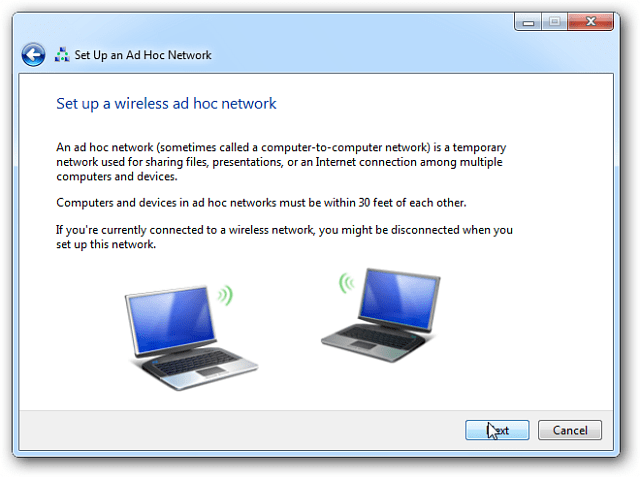 Now select the bottom option to set up a wireless ad-hoc network. The Wireless Ad Hoc Network wizard will start up. Click Next. 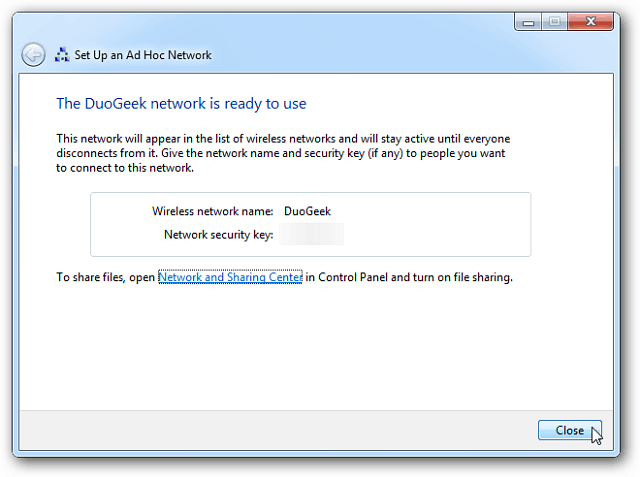 On the next screen, give your ad-hoc network a name, select your security type, and enter a security key. If you’re in a public place, I recommend WPA2 for the best security of your network. It should just take a few seconds, and your ad-hoc network will be ready to use. 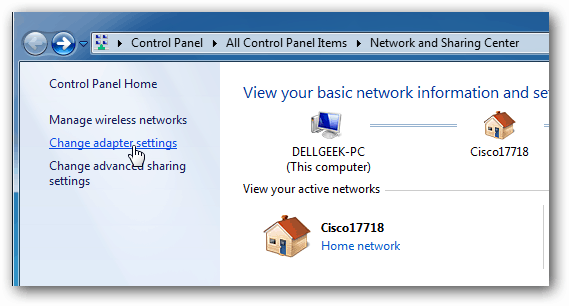 If you click the connection icon in the system tray, you’ll see the network you just created in the list waiting for users. 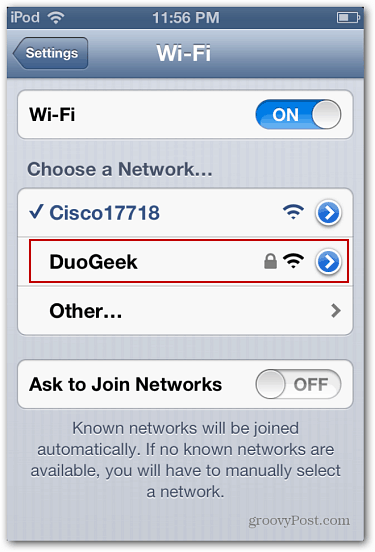 Then go to Network and Sharing Center and select Change Adapter Settings. 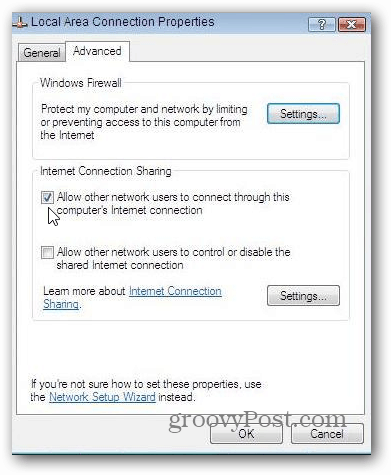 Then check “Allow other network users to connect through this computer’s Internet connection” and click OK.
Now you’ll be able to see the shared WiFi connection from your laptop on your mobile device. Just connect to it and you’ll have internet access on the device in no time. Thanks, that’s a very “groovy” feature. But I have a question, does this work in a desktop computer? I was thinking about sharing internet from my desktop pc to a smartphone using a usb wireless adapter. @tooltip86: Yes, it should work. However, I have had varying degrees of success using USB Wireless Adapters on a tower desktop. For example, the connection from a D-Link DWA-130/RE was very sketchy. So, I guess your mileage may vary. 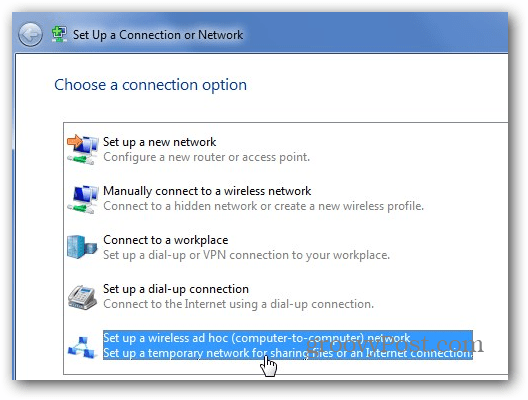 But what manages DHCP for the wireless clients that connect to your “hotspot?” Are they placed on the WLAN network and bascially just pass through the PC, or does the “hotspot PC” act as the DHCP server for the clients? Or, do I need to manually set up IP addresses on the clients? Thanks! It should get IP address from reserved private IP pool. You probably have seen one if you ever had DHCP server failing or absent. Thanks a lot for this great tutorial. Much appreciated. Hi, it didn’t work for me. I am seeing a different dialog for Local Area Connection Properties. How can I upload a screenshot? Till now I have been using MyPublicwifi for the purpose and it works really well. I just need to launch the program and its done.